This week on Spellburn we have perhaps the most important guests we’ve ever had on the show – you guys! It’s time for a show starring our listeners, or in less fancy terminology, it’s time to empty out the enormous bag of emails that have been piling up to the virtual rafters. DM Breinar’s (sp?) 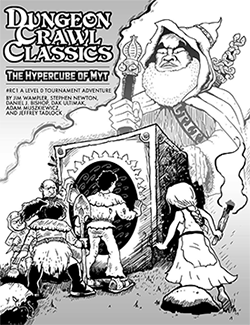 comment “maybe the d20 system is too simple for my brain to comprehend” is what’s wrong with the OSR/Grognard camp. What else in life is difficult to comprehend because it’s too simple? You guys did a good job of explaining d20, but it probably fell on deaf ears. For those letter-writers asking about building campaigns, may I point out the Campaign Element (CE) series, published by Purple Duck Games? The author is sort of a jerk, but the products might be of some help. AL 1-5, which you mentioned in the podcast, is a go (barring approval). This is a AL 1 to AL 5 in pdf or pod with notes on how to use them together as a campaign arc. “The author is sort of a jerk” was meant to be funny, as I am the author, but it fell sort of flat. Sorry. Great episode as usual guys! Keep em coming! Agreed, the cover for “The One Who Watches From Below” is a stunning piece of art. Congratulations, Jobe, you must be very proud! I sent the cover to my pack of reavers and diabolists to get them fired up for our next DCC session. Speaking of which, let me add that link to your list! Agreed. The cover is stunning, and I am looking forward to the adventure! For the steampunk ideas… for magic I’d lean toward spells that somehow echo the magic/occult stuff of that era. The Victorians had that huge upsurge of interest in spiritualism and magic… occult celebrities like Aleister Crowley and Madame Blavatsky, The Hermetic Order of the Golden Dawn. Lots of ritual magic… summoning of spirit guides… seances. Some of Lovecraft’s stories seem to have been influenced by those real-world elements in the news. That or go in the direction of ‘techno-magic’… with arcane devices that produce magical effects. Spell guns. Has anyone written up a Patron that fits a steam/clockwork aesthetic? Mercurial tables with effects that would back up that feel?